This study was performed to determine the effects of heat treatment on weight loss during combustion of the laminated wood materials produced from Oriental beech (Fagus orientalis L.), scotch pine (Pinus sylvestris L.), sessile oak (Quercus petraea L.), and poplar (Populus nigra L.) veneers bonded with PVAc-D4, PUR and MF adhesives. For this aim, the weight loss during combustion of the test samples was determined according to ASTM E 160-50. The results of this study indicated that the weight loss percentage was the highest in poplar wood (89.17%), PVAc-D4 adhesive (89.79%) and control samples (88.69%). In the interaction of the wood materials and type of adhesive, the highest value was measured in poplar+PUR (90.93%), interaction of the wood materials and heat treatment in poplar + control samples (90.87%), in the interaction of the type of adhesive and heat treatment in PVAc-D4 + 185 °C (91.10%). In the interaction of the wood material, type of adhesive and heat treatment temperature, the highest value was determined in laminated control poplar samples with PUR adhesive (93%), while the lowest in laminated scotch pine samples with MF and heat-treated at 185 °C (81.83%). The use of laminated and heat-treated wood material in places where in high risk of fire, impregnation of wood material with fire-retardant compounds can be suggested. Ors Y., Keskin H., “Ağaç malzeme bilgisi”, Atlas Yayın Dağıtım, ISBN: 975-6574-01-1, İstanbul, (2001). Yorur H., Kurt S., and Uysal, B., “''Bonding strength of oak with different adhesives after humid-water-heat tests”, Journal of Adhesion Science and Technology, 28(7): 690–701, (2014). Yorur H., Kayahan K., Günay M. N., Altun S., and Şeker, B., “The effects of liquid nitrogen treatment on the some physical and mechanical properties of scots pine and oriental spruce wood”, Turkish Journal of Forestry, 18(4): 309-313, (2017). Lowden L. A., and Hull T. R., “Flammability behaviour of wood and a review of the methods for its reduction”, Fire Science Reviews, 2(4): 1-19, (2013). Roger C. P., “The chemical composition of wood”, in The Chemistry of Solid Wood, Edited by Rowell R., Advances in Chemistry Series 207, Chapter 2, 57-126, American Chemical Society, Washington, D.C. (1984). Keskin H., “Effects of Impregnation Solutions on weight loss during combustion of laminated veneer lumber”, G.U. Journal of Science, 22(3): 235-243, (2009). Baysal E., “Combustion properties of wood impregnated with commercial fertilizers”, African Journal of Biotechnology, 10(82): 19255-19260, (2011). He X., Li X., Zhong Z., Yan Y., Mou Q., Yao C., and Wang, W., “The fabrication and properties characterization of wood-based flame retardant composites”, Journal of Nanomaterials, Article ID 878357, 1-6, (2014). Keskin H., Atar M., and Izciler M., “Impacts of impregnation chemicals on combustion properties of the laminated wood materials produced combination of beech and poplar veneers”, Construction and Building Materials, 23: 634–643, (2009). Uysal B., “Combustion properties of laminated veneer lumbers bonded with polyvinyl acetate and phenol formaldehyde adhesives and impregnated with some chemicals”, Combustion Science and Technology, 177(7):1253–1271 (2005). Ozcifci A., Toker H., and Baysal, E., “Fire properties of laminated veneer lumber treated with some fire retardants”, Wood Research, 52(4): 37-46 (2007). Atar M., “Impacts of varnishes and impregnation chemicals on combustion properties of oak (Quercus petreae lipsky)”, Journal of Applied Polymer Science, 107(6): 3981–3986, (2008). Said Fidan M., Sadiye Yasar S., Yaşar M., Atar M., and Alkan, E., “Characterization of the combustion parameters of ımpregnated and varnished cedar wood (Cedrus libani)”. Forest Products Journal, 66 (5-6): 290-299, (2016). Ors Y., Atar M., and Peker H., “Sarıçam odununun yanma özelliklerinin bazı borlu bileşikler ve su itici maddelerin etkileri”, Türk Tarım Ve Ormancılık Dergisi, TÜBİTAK Yayınları, Ankara, s. 501 – 509, (1999). Martinka J., Kačíkova D., Rantuch P., and Balog, K., “Investigation of the influence of spruce and oak wood heat treatment upon heat release rate and propensity for fire propagation in the flashover phase”, Acta Facultatis Xylologiae Zvolen, 58(1): 5−14, (2016). Kleiberit product catalog, 2017: https://www.kleiberit.com/en/media-library/info-sheets.html (10.04.2017). Sahin Kol, H., Ozbay, G. and Altun, S. “Shear strength of heat-treated tali (Erythrophleum Ivorense) and ıroko (Chlorophora Excelsa) woods, bonded with various adhesives”, BioResources, 4(4): 1545-1554, (2009). Pizzi A., “''Melamine-formaldehyde resins”, in Handbook of Adhesive Technology, Pizzi A., and Mittal K. L. (Eds. ), Marcel Dekker Inc, (2nd edition) New York, USA. (2002). TS EN 386 “Glued laminated timber- Performance requirements and minimum production requirements”, Turkish Standards Institution, Ankara, Turkey, (1999). ASTM E 160-50 “Standard test method for combustible properties of treated wood by the cribe test”, West Conshohocken, PA, USA: ASTM Standards (1975). 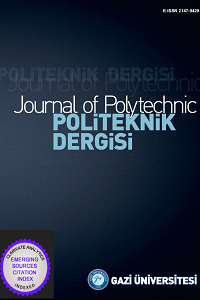 Atar M., and Keskin H., “''Impacts of coating with various varnishes after ımpregnation with boron compounds on the combustion properties of Uludag fir”, Journal of Applied Polymer Science, 106: 4018–4023, (2007). Ćekovská H., Gaff M., Osvald A., Kačík F., and Kubš J., “Fire resistance of thermally Modified Spruce Wood”, BioResources, 12(1): 947-959, (2017). Sadiye Yasar S., Said Fidan M., Yasar M., Atar M., and Alkan, E., “Combustion properties of impregnated spruce (Picea orientalis L.) wood”, Construction and Building Materials, 143: 574-579, (2017). Atar M., “Impacts of Varnishes and Impregnation Chemicals on Combustion Properties of Oak (Quercus petreae Lipsky)'', Journal of Applied Polymer Science, 107: 3981–3986, (2008). Osvaldová L. M., and Gaff M., “''Retardation Effect On Thermally-Modified Spruce Wood”, in Sustainable Development and Planning IX, Etd. Brebbia C. A., Longhurst J., Marco E., Booth C., WIT Transactions on Ecology and The environment 226: 537-546, (2017). Müllerová J., “Fire Safety Properties of Heat Treated Wood”, Research Journal of Recent Sciences, 2(12): 80-82, (2013). Wang J., and Cooper P. A., “Fire, flame resistance and thermal properties of oil thermally-treated wood”, The international research group on wood protection (IRG/WP) 07, Jackson, MS, USA. IRG/WP 07-40361, (2007).